It’s been one year since we broke ground on the semicircle of sod and weeds surrounding a red brick wall in the West Bloomfield High School courtyard. In May, 2015, I had some promised literary plants and a couple of volunteers. By June I had picked up a second grant, and donations were trickling into the school website, but it wasn’t enough “seed” money to fund everything we needed to do over the summer. I did not own a wheelbarrow. (Sorry, William Carlos Williams, I just hadn’t quite caught on yet.) 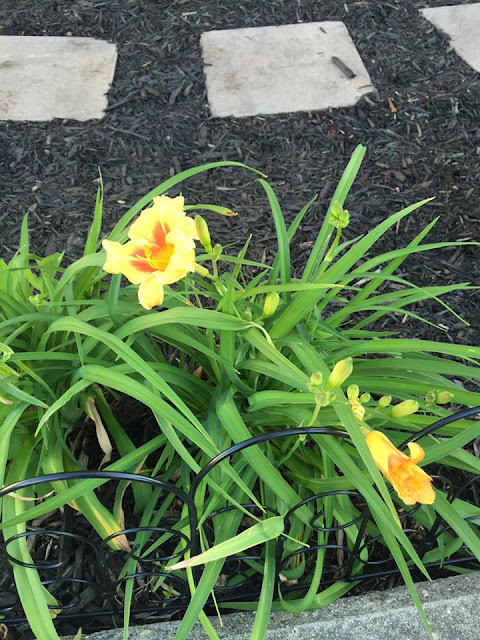 I was begging – yes, begging – for dirt from the big box stores, from landscape supply companies, on Facebook, from signs on the side of the road that promised “free fill dirt.” The Mark Twain wisteria cuttings? They DIED. The Emily Dickinson rosebush cuttings? They DIED. I was starting to freak out. How was I going to make this happen? And then, on July 31, 2015 (a VERY important date in literary history; it is a birthday shared by Juliet Capulet AND Harry Potter as well as Harry Potter’s creator, J.K. Rowling), something magical happened. 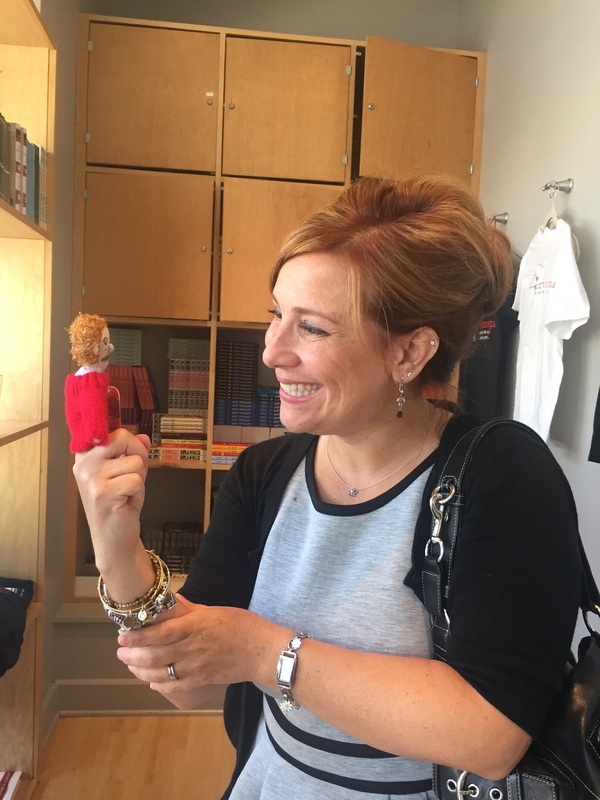 Amy Goldman wrote me an email at 9:17 P.M. that night that changed the course of this project completely. I know that you are working to fund this project and what a difficult job that can be. My grandparents established a family foundation prior to their passing in order to help organizations that our family felt were meaningful. Upon hearing about this project, I presented a request to my family to consider a donation. I am excited to tell you that the Garber Family Foundation will be donating to the Literary Garden. The donation was completely unexpected (I did not know Amy, nor had I had her children in my classes), but I could not have known that three weeks later Amy and I would be, with dozens of other volunteers, hauling wheelbarrows full of pea gravel and dirt as we began creating a home for the plants I did not yet have. National Public Radio came out to cover our fledgling efforts! 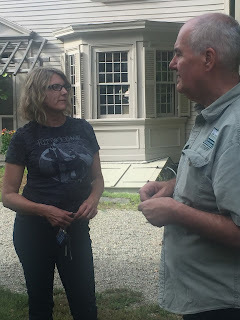 Also in August, I visited the Kurt Vonnegut Memorial Library and met with founder Julia Whitehead, who agreed to be our Literary Garden sponsor; more funding meant more essentials for the garden. Even more exciting, Julia set up the opportunity for Melissa and I to meet Edie Vonnegut to get the Vonnegut hydrangeas for the garden. By September and October, the plants came rolling in, by mail and by car, a plethora of perennials populating the backseat of my Jeep, Ralph Waldo Emerson’s false indigo pods shaking in terror as we made our way into Michigan. My students and I planted on a warm October afternoon under the direction of master gardener Dani Connolly. We made it into The Detroit Free Press, my mustachioed mug plastered across the front of the Life section for the world to see! What if we made the cartons into BIRDHOUSES? Birdhouses that wouldn’t just house our feathered friends in the courtyard, but birdhouses that would symbolically remind our struggling students to keep room for hope to perch in their very souls, that things would get better? I called on my dear friends Karen Matynowski (science) and Mimi Hoffman (art) for help. I knew I could not do this alone, but I was so excited about the idea, I had to share it immediately! This was another aspect to the garden entirely, but it was so very important. 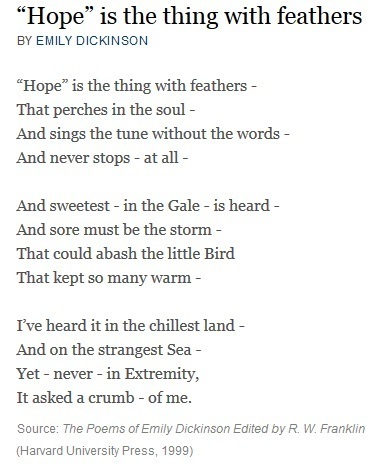 So important to acknowledge the grief and pain and worry I saw in their writing. None of us could make sense of these tragedies, but we could try to move forward, one inspirational quote at a time, nudging each other towards brighter days. I would stand at the window over the winter and worry endlessly about the school, our students, the plants. Would we survive the ice, the frost, the snow? It was so important that we try. My dear friend Robin Tracey and her team at Moonlink Studios / Ringside Creative donated their time and efforts to create a video for us to submit to the Carton2 Garden contest in April, and in May, we found out that we were one of 14 national award winners! Prairie Farms Dairy rewarded our students with an ice cream social, and The Detroit Free Press covered our award in its Life section on June 11, 2016. 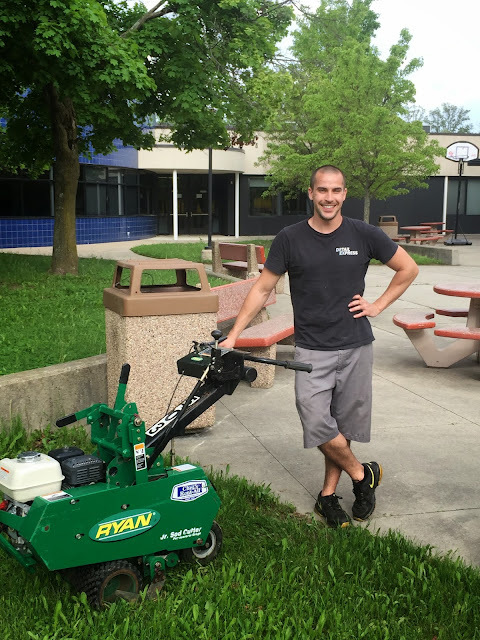 In May, the West Bloomfield Public Library announced that they would be donating a deposit collection of books to our WBHS iCenter to allow students to check out books for the authors they find interesting in the garden. Media specialist Julie Abeska and I are working on providing a special space in the iCenter to showcase this generous collection. Spring finally sprung, and after a rash of late frost warnings, we finally had our official spring planting on June 3, 2016. 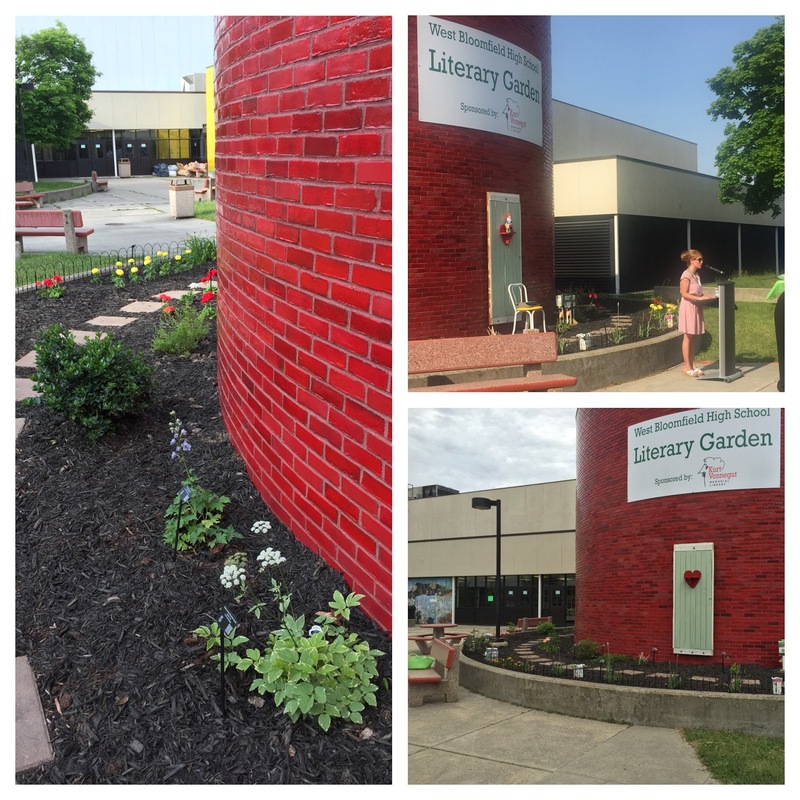 We have been approved to begin a WBHS Literary Garden Club and have over 60 interested members signed up – as a matter of fact, they have already begun working on cleaning the courtyard, and they helped with the spring planting and with the decorating for the Literary Garden Grand Opening Gala. 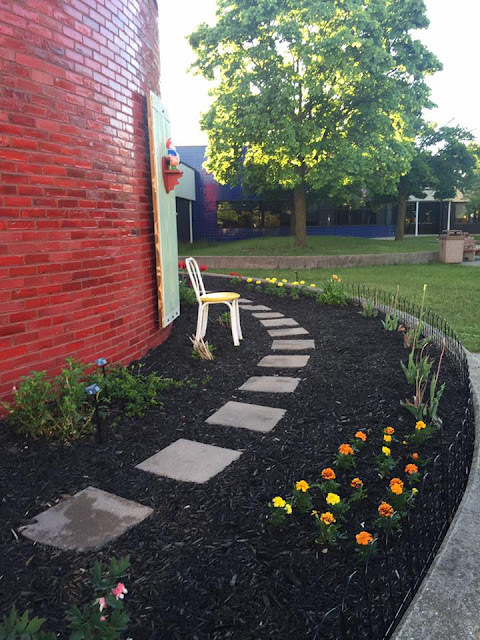 On Friday, June 10, we opened the doors of the courtyard to the West Bloomfield Central Administration, School Board, Educational Foundation, donors, volunteers, students and parents to give them a chance to see the garden in all of its glory. None of this would have been possible without the generosity of the organizations that have supported the garden through generous grants, starting with the West Bloomfield Educational Foundation, the Garber Family Foundation, the Kurt Vonnegut Memorial Library, the Pittsburgh Plate Glass Public Education Leadership Community Grant, the Penguin Random House Teacher Awards for Literacy, the Troy Garden Club, and the Carton2Garden Middle/High School Award. There would not be a garden without the herculean efforts of the museums, homesteads, families, scholars, and organizations of authors - and some of the authors themselves! - from around the country. They include: Pearl S. Buck, Willa Cather, Eugenia Collier, Emily Dickinson, Sharon Draper, Ralph Waldo Emerson, Nathaniel Hawthorne, William Faulkner, F. Scott Fitzgerald, Nikki Giovanni, Ernest Hemingway, Zora Neale Hurston, Ken Kesey, Thomas Lynch, Carson McCullers, N. Scott Momaday, Flannery O’Connor, Holly Painter, Marge Piercy, Edgar Allan Poe, Theodore Roethke, John Steinbeck, Wallace Stevens, Mark Twain, Kurt Vonnegut, Alice Walker, Walt Whitman, and Jeff Zaslow. 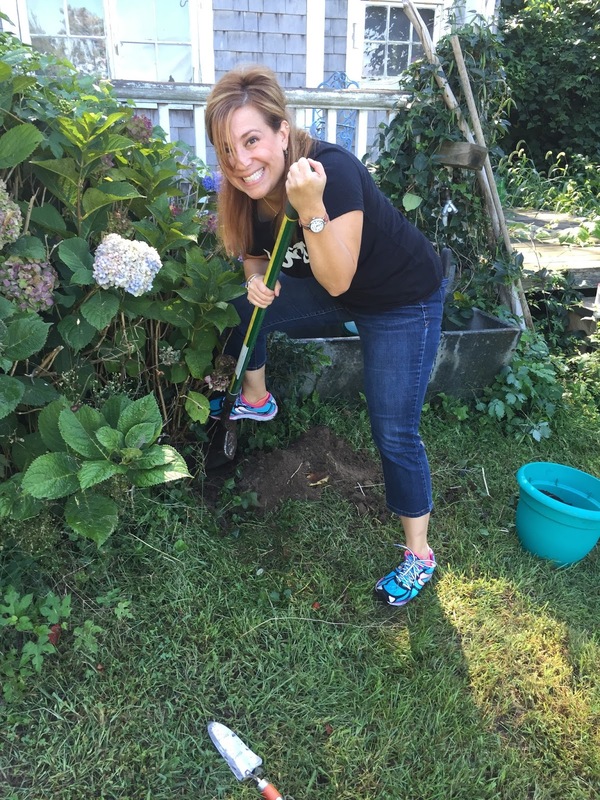 I am so grateful that when I came knocking at your doors, you responded so generously. I know that you don’t necessarily have the time and funding that you need in your own organizations, and I am endlessly grateful that you took the time to bring a swath of American literary history to the students of West Bloomfield High School. We have so much more that we want to do! Here are just a few of the goals we have set for the next year. c. Read books and poetry not already in curriculum tied to the authors and poets in the garden and explore the connections to the plants. 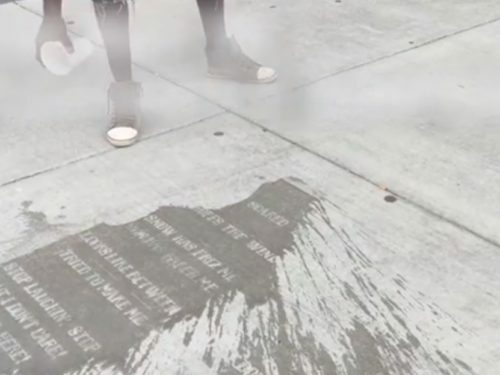 d. Write “secret poetry” on the sidewalks in the courtyard that only shows up when it rains. e. Plan poetry slams, yoga in the garden, and other events would showcase student talent and provide opportunities for student community building. g. Provide West Bloomfield community opportunities to create literary-themed art projects in the courtyard. f. Become the umbrella organization for courtyard improvement. 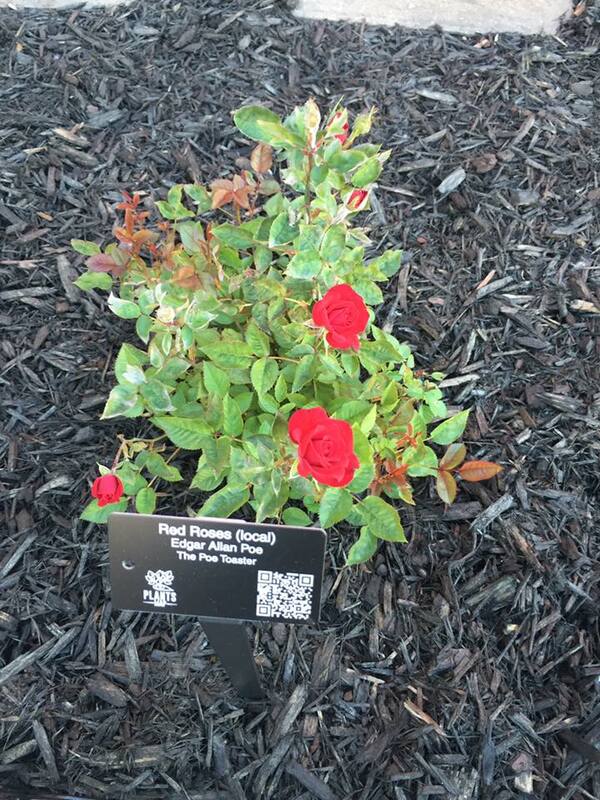 We would work with the Art Department on the Art Garden to help get them up and running. They will apply for grant money this fall to revitalize their end of the courtyard. If you would like to support the garden, we have set up a way for you to do so that provides a more lasting legacy. 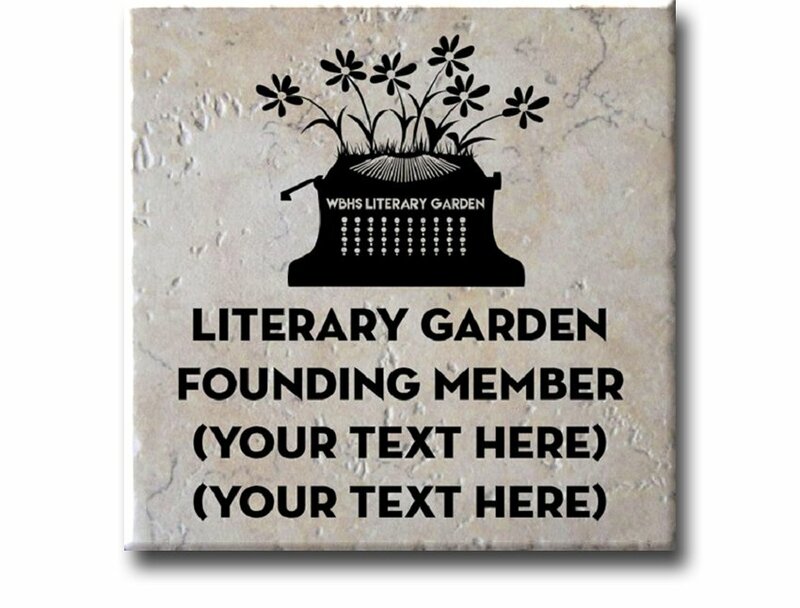 You can now purchase a tile to commemorate a special moment in a student’s life, to cement a connection you have to the Literary Garden, or to note some other seminal moment you have connected to an American author or with West Bloomfield High School. See the brochure information here for more details. 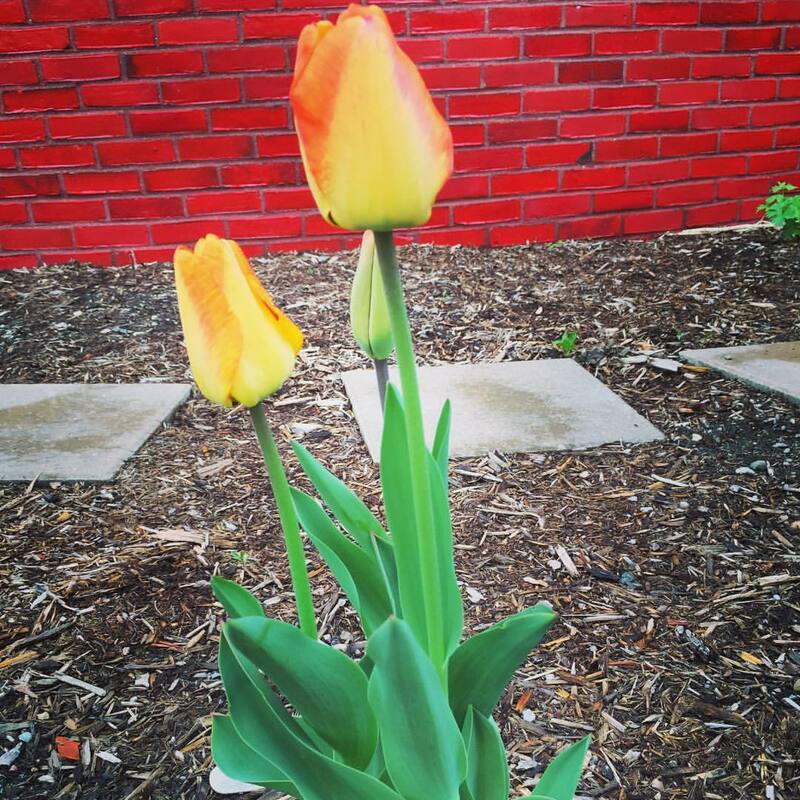 Thank you, all of you, for making the West Bloomfield Literary Garden a reality, and stay tuned for YEAR TWO!